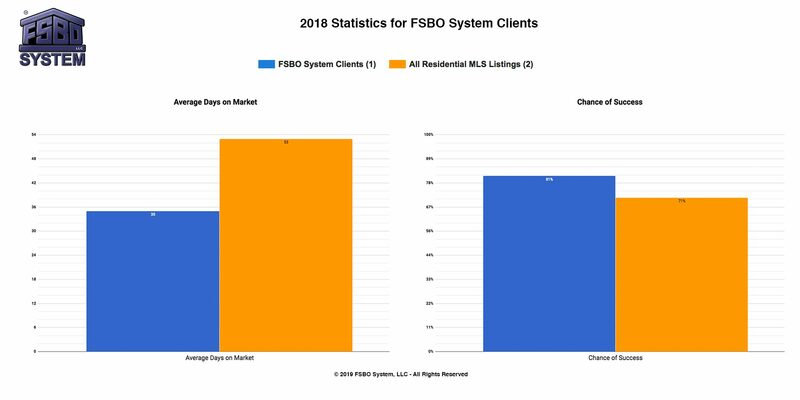 Since 1995, good markets and bad, our average FSBO System Pro client has outperformed the average MLS listing agent in terms of both Days on Market and Chance of Success. 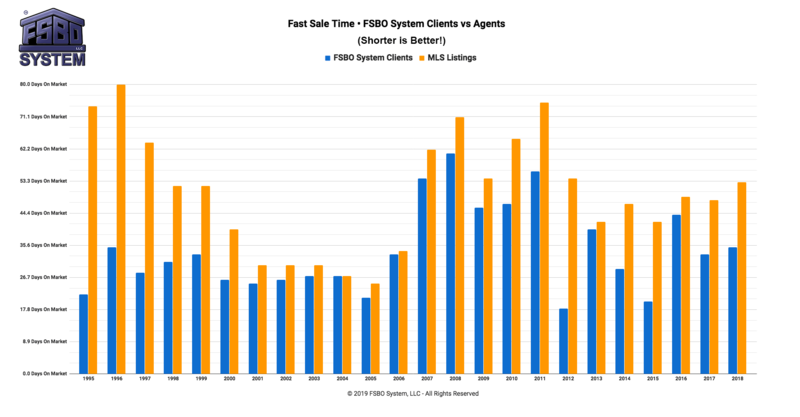 Residential FSBO System clients in Anchorage/Eagle River who closed during the year divided by all terminated residential FSBO System Anchorage/Eagle River clients. All MLS residential listings in Anchorage/Eagle River that closed during the year divided by all terminated MLS residential Anchorage/Eagle River listings. The figures above are averages; your specific client experience may vary. 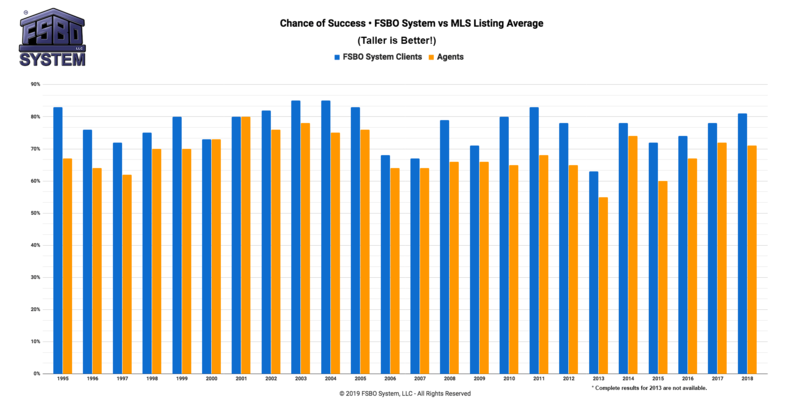 You have a fantastic chance of success with FSBO System!